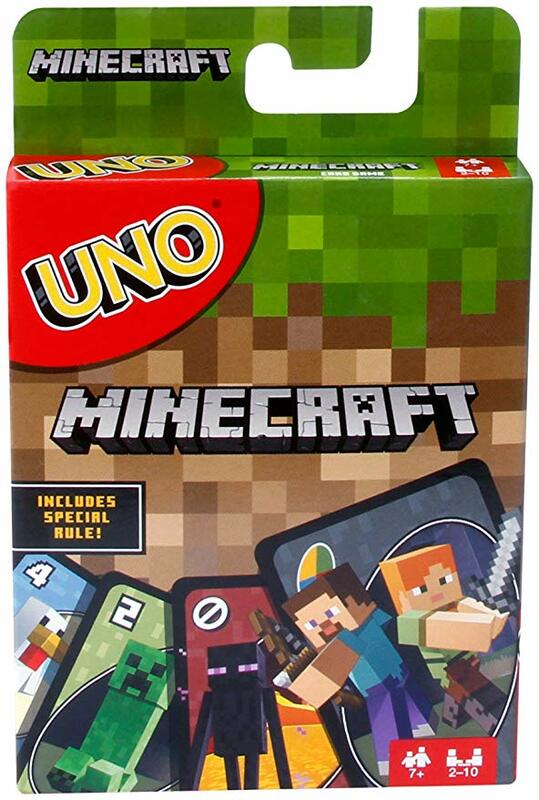 Amazon has the Uno Minecraft card game on sale for $5.99, downf rom $15.63. UNO Minecraft gameplay involves players racing to get rid of all their cards, but this version features cards with Minecraft characters and images and a special rule! 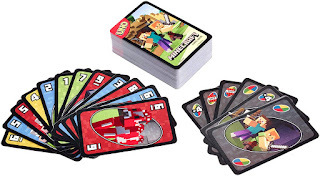 you want to match a card in your hand with the current card shown on top of the deck, and you'll score points for the cards your opponents are left holding. 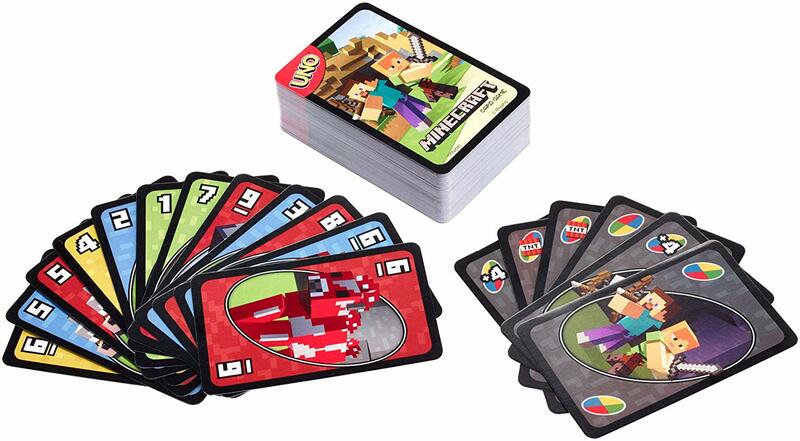 And in UNO Minecraft, there's also a new Type of action card; when you draw the Creeper card, show it to the other players and they'll have to draw three more cards!